One of my favorite aspects of blogging is networking and getting to know other bloggers. This is how the Blogger PJ Party (next one is May 23!) and Bloggy Brunch (still time to link up!) were born. Recently, I’ve been looking for more ways to bring the fun of socializing to the blog and I’ve come up with a new series that will be starting in June. Social Moments is going to be a throwback to the days when women used to get together at happy hour or a friend’s house to chat and share their thoughts with each other. 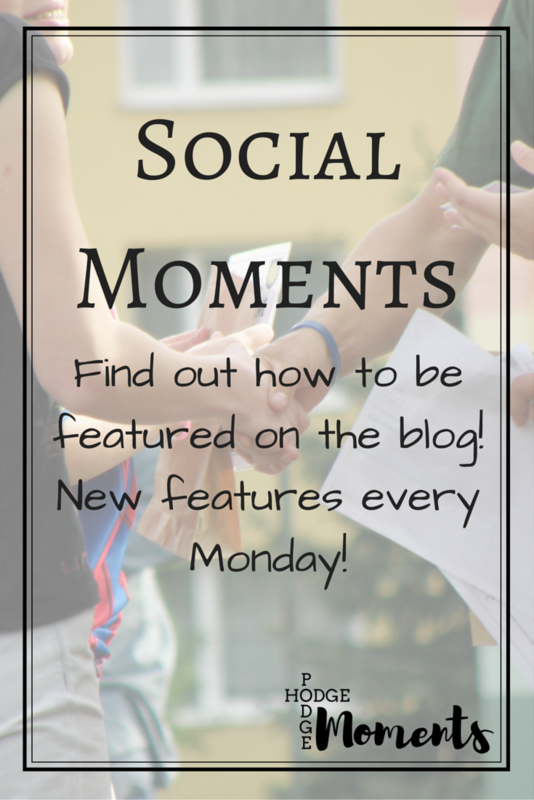 Each week, I’m going to be featuring a different blogger. Each feature will include five questions that the blogger will answer. But it’s not. This one will be different and I’m about to explain the social aspect. The questions are going to be different each week. Readers will be invited to answer the same questions either on their own blog or in the comments. This way, we’re all interacting and sharing our thoughts on the same topic! There will be a link up attached to each post for those that wish to link up their responses (I will share the new set of questions the week before to give you time to prep.) If you don’t want to write a blog post, you’ll be invited to answer the questions in the comments. The goal is to spark conversation and get to know each other better. This new series will start on June 6. Why am I announcing this series three weeks in advance? I want your help! I’m looking for two things – volunteers to be featured and questions that you would like to see asked. 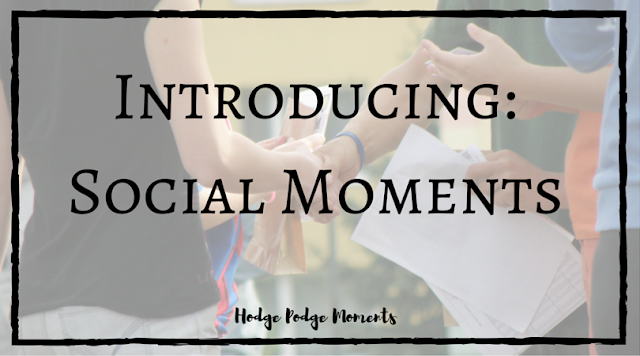 If you’re interested in being featured, please email me at hodgepodgepam@gmail.com with “Social Moments” as your subject line. If you have a question or two that you’d like to suggest, please leave them in the comments below! I’m looking forward to meeting new people and socializing with my wonderful followers. I can’t wait for this new series to start! I encourage you to spread the word to all your friends about this fun series!